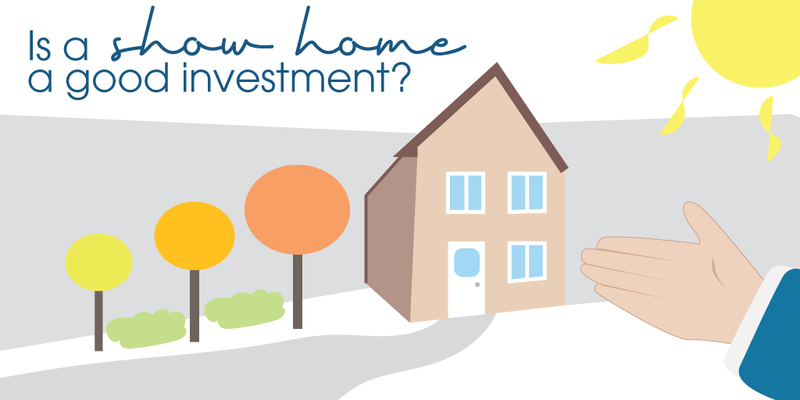 Chichester Property News: Is a show home a good investment? 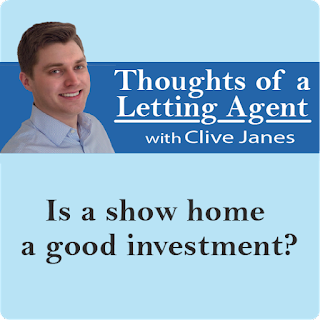 Is a show home a good investment? With all the new housing developments springing up around Chichester recently, and with many more planned in the future, an interesting investment opportunity was raised by one of my landlords a while ago - should he buy the developer’s show home and rent it back to them whilst the housing development is being built? This is not a new practice and has been a popular investment with some for many years - particularly when house prices were booming and it was a reasonably safe bet that come the end of the development the show home would be worth far in excess of what the investor had originally paid. It can be difficult to get a mortgage on a property that you buy and intend to rent back to the builder (particularly when it is a corporate lease that might run for several years). This therefore means you cannot leverage your funds and thus it tends to appeal to more risk averse ‘cash-rich’ investors who aren’t seeking mortgages to turbo-charge their returns. The concept of being able to lease back the property from day one on a long-term contract at a reasonably generous fixed return, is quite appealing. Particularly when you factor in that you won’t need to market for, or manage, live-in tenants and the builder will maintain the property. It’s not without its downsides though. Besides checking the developer’s credit worthiness to pay the rent, you need to be confident of what the property is actually worth. This can be difficult when it is the first home to be built on what will be a building site for often many years. New-build properties are normally sold at a premium, so it can be hard to find comparables that justify the price, as existing homes nearby are likely to be cheaper in comparison. There seems to be a flurry of developers right now who are overpricing such offerings and simply paying the rental return from the overinflated price. This is predominantly happening in the North and North-East of England, where developers are largely marketing the properties to ‘Southerners’ who aren’t perhaps familiar with the local housing market and their accompanying lower house prices. Unfortunately, at the end of the term the investor is likely to find the achievable market rent is far below what they had been used to and the property hasn’t necessarily increased (or retained) the value they originally paid. As ever it is buyer beware in regards to how good the ‘deal’ actually is. It is also ‘horses for courses’ in regards to what you are trying to achieve as to whether buying a developer’s show home is right for you. As it happens, for this particular landlord it seemed to make sense. It was a national housebuilder and the property price and rental return seemed reasonable. The landlord was a cash investor and for the next few years he needn’t worry about tenants or property maintenance and he won’t have to pay a letting agent their management fees! ……oh.